After the great response we received from our “Protorock” and “Soundtrack Mix” sound libraries for the Korg M3, we knew we had to come up with something special for volume number three. After several months of working round the clock we are pleased to announce that “Hit Factory” – Our third collection of sounds for the Korg M3 Workstations is now in the works and sounding very cool. Hit Factory is an amazing mix of fully KARMA-fied Programs & Combis perfect for Producers and Keyboard Players creating Hip Hop, R&B, Techno, Rave, Industrial and Dance tracks. Five new Drum Kits include 380 NEW SAMPLES that are guaranteed to get your head noddin with some of the hottest beats found anywhere. Hit Factory includes Classic Drum Samples from the TR808, TR909, CR78, Linn Drum, Simmons Drums and some of the best samples from our SP1200 and MPC Collections. Also included are a wide mix of Funk Guitars, Orchestra and Horn Hits, Noizes, Scratches, Human Beat Boxes and dozens of new Voice Samples. Special Bonus includes new samples from our SVC350 Analog Vocoder. 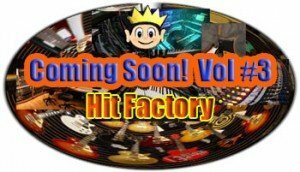 Hit Factory will be released September 09′. Get on our mailing list and we will contact you as soon as it’s released! Click Here for more info on all our Korg M3 Sound Libraries.